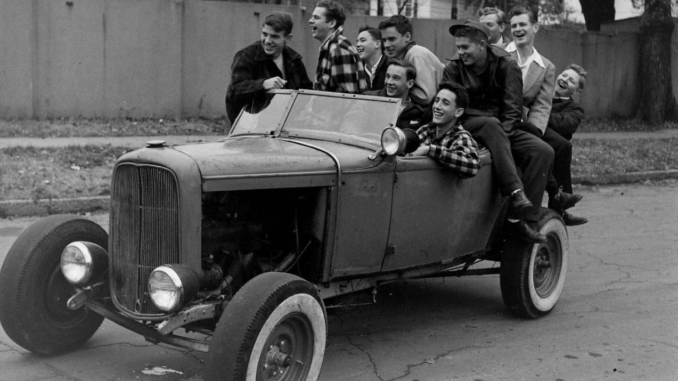 10 cool cars that could be built on a 16-year-old’s budget. 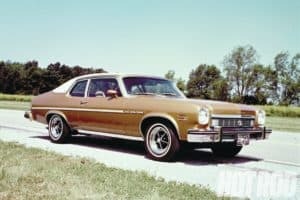 An Oldsmobile Omega, a Pontiac Ventura, a Pontiac Phoenix, and a Buick Skylark, are all less expensive versions of a Nova. Find a ’70s Omega or Ventura, and you’ll have a unique cruiser on the cheap that’ll accept virtually any GM engine. The ’74-and-earlier cars are like first-generation Camaros and Firebirds (F-cars) underneath, and the ’75-’79 are similar to second-gen F-cars. 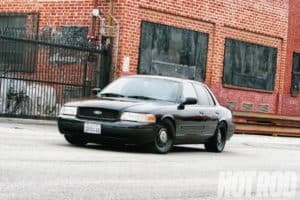 Just like the Bluesmobile from The Blues Brothers, “It’s got a cop motor… cop tires, cop suspensions, and cop shocks” After they’re retired from police service, Crown Victorias, although usually high mileage, are immaculately maintained and auctioned off cheap. Current Highway Patrol versions have 4.6L mod motors, which are great engines for the guy who isn’t afraid of electronics. Emissions-legal hop-up parts are available if meeting smog is a concern. 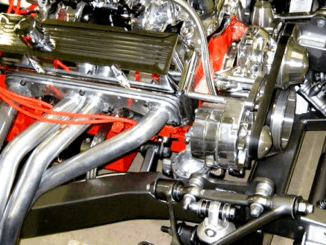 Still widely available, these full-frame Monte Carlo SS and Buick Grand National-like cars will accept almost any GM engine with the right motor mounts—ditto for transmissions and rear-ends. 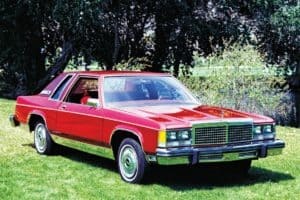 More commonly recognized as something your grandmother drove, they didn’t start using computer controls until around ’80-’81. Some models had diesel engine options, which in many states can be an emissions loophole. Sometimes referred to as “Box Cars,” the Fairmonts, Zephyrs, LTD IIs, Granadas, Versailles—and their related clones and relatives—are less costly Fox-body alternatives to the Mustang. 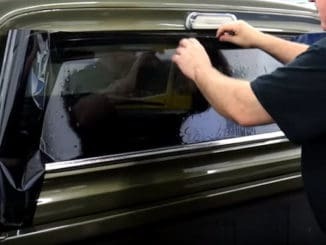 Anything you can do to a Fox-body Mustang you can do to these. As a bonus for young drivers, you also cut down on insurance costs and not catch the eye of local law enforcement. The third-generation GM truck was made for 18 years, resulting in tons of interchangeable parts. GM sold 1,317,466 trucks in 1978 alone. The second-generation marked the beginning of the 454 offered in a truck. 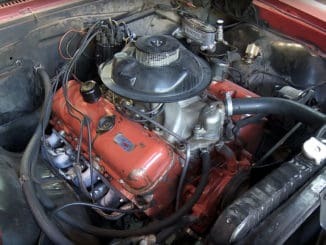 A big-block C/K is couch change compared to a Chevelle or Torino big-block. Don’t believe us? 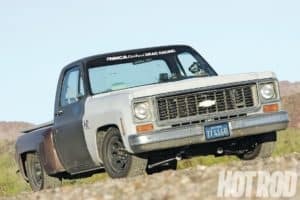 HOT ROD’s ’74 Muscle Truck project car is an example of cheap fun. If you didn’t know: The “C” means two-wheel drive, and the “K” means four-wheel drive. The earlier the better, these Chevy and Ford lightweight trucks are body-on-frame, easy to work on, easy to find parts for, and dirt-cheap. Many still didn’t have computers prior to ’84-’85, and V8 swap kits are readily available. These trucks can also carry the parts around for another hot rod. The regular-cab trucks are light and can also net cheap insurance rates. 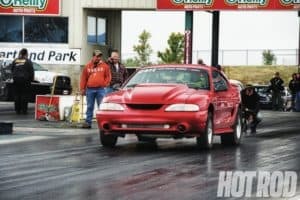 The SN-95 Mustang is a viable cheap-hot-rod option. They’re now more than 10 years old so new-car buyers don’t want them, but junkyards are full of them. They’re not as old as Fox-bodies—so rust will be less of an issue—and they have just as much aftermarket support. The last year of the famed 5.0L was ’95, but the upgradable Mod motor replaced it in ’96. That same year the V6 added 150 more horsepower. Starting out with the LT1 V8 and later the LS1, the fourth-gen Camaro and Firebird are a no-brainer for young guys. Kind of cool, they’re cheap with tons of aftermarket-product support. The ’96 model marked the return of the SS package with a 302hp V8. The 3.8L V6—an easier sell to the parents—had 200hp in most models (a 3.4L was an early option). 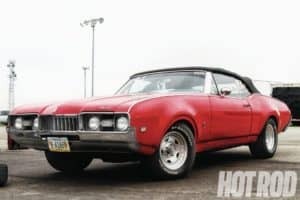 The Buick Special, the Skylark, and the Oldsmobile Cutlass models are the less-expensive alternative to a Malibu or LeMans, but with the same basic chassis and engine compartment. These GM A-bodies are sisters of popular models and use a lot of the same hardware, making parts easy to find. The ’64–’67 models are the first-generation for the muscle-car A-bodies. While these cars are arguably the coolest on our list, they are possibly the most expensive. Any of ‘em. An AMC makes for a good project if you’re looking for something from the muscle-car era without being tied to one of the mainstream brands. Be warned, all of the reproduction parts you buy may cost more due to the limited demand. Older Ramblers and wagons are recently more desirable, but you can find a driving ’67-’74 Javelin for around $8,000. The Pacer is another ugly car that has become retro-cool. It might bring you into hipster status, but at least it’ll get you into the Pre-’72 car shows.